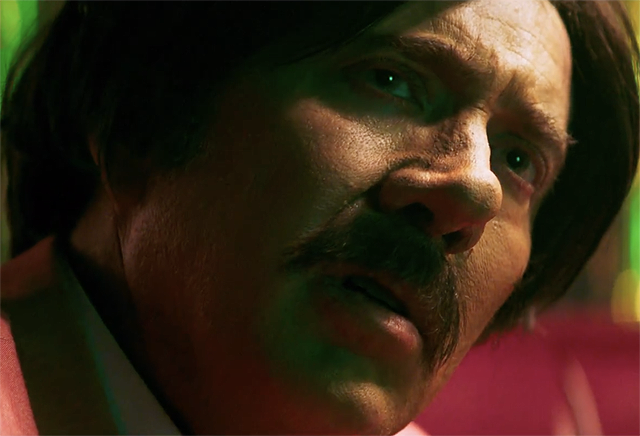 The pressure is on, the stakes are high and the fake Nicolas Cage nose is enormous in the official Arsenal trailer and poster for the Lionsgate Premiere film starring Adrian Grenier, John Cusack, Cage and Johnathon Schaech. Check out the trailer below, along with the poster in the gallery! 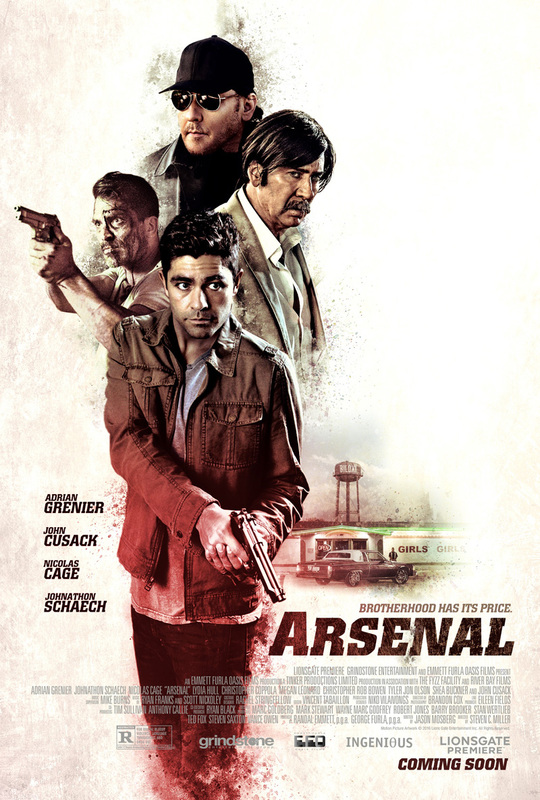 Arsenal tells the intertwining stories of the Lindel brothers, Mikey (Johnathon Schaech) and JP (Adrian Grenier), who had only each other to rely on growing up. As adults, JP found success as the owner of a construction company, while Mikey became a small-time mobster, mired in a life of petty crime. When Mikey is kidnapped and held for a ransom by ruthless crime boss Eddie King (Nicolas Cage), JP turns to the brothers’ old pal Sal (John Cusack), a plain clothes detective for help. In order to rescue his brother, JP must risk everything and unleash his vengeance against King’s relentless army of gangsters. Arsenal is directed by Steven C. Miller (Extraction, Marauders) and written by Jason Mosberg. Find out how far the bonds of brotherhood go when the action thriller hits theaters and On Demand January 6.